US equity indexes closed moderately mixed, sp -2pts, @ 2172 (intra low 2169). The two leaders - Trans/R2K, settled -0.6% and +0.2% respectively. 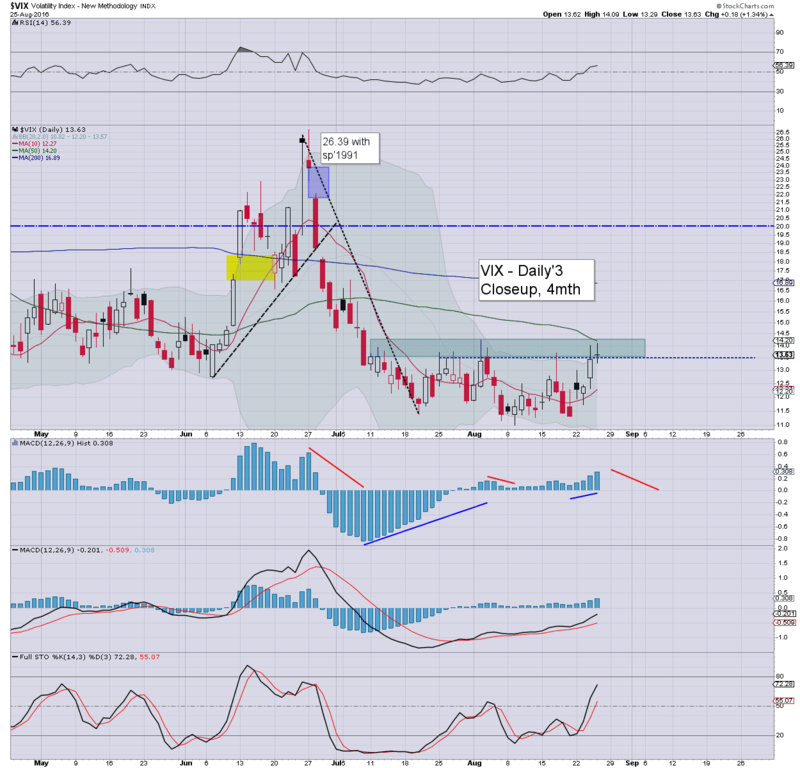 VIX settled +1.3% @ 13.63. Near term outlook is for a post-Yellen break to the upside, as the sp'2200s remain due. There is little to be said about today. 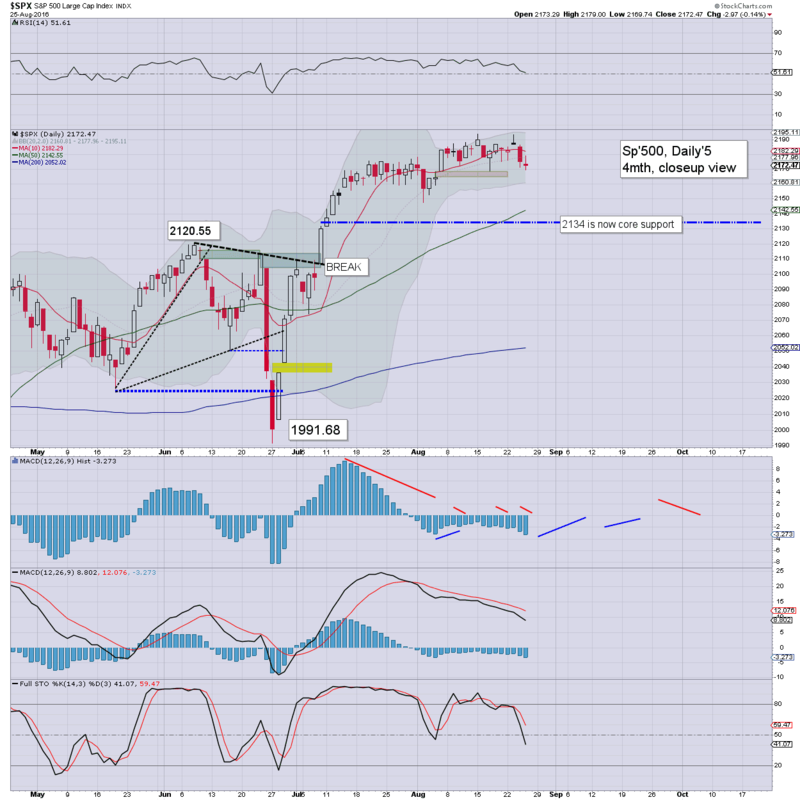 The sp' held above last week's low of 2168, with a fractionally higher low of 2169. 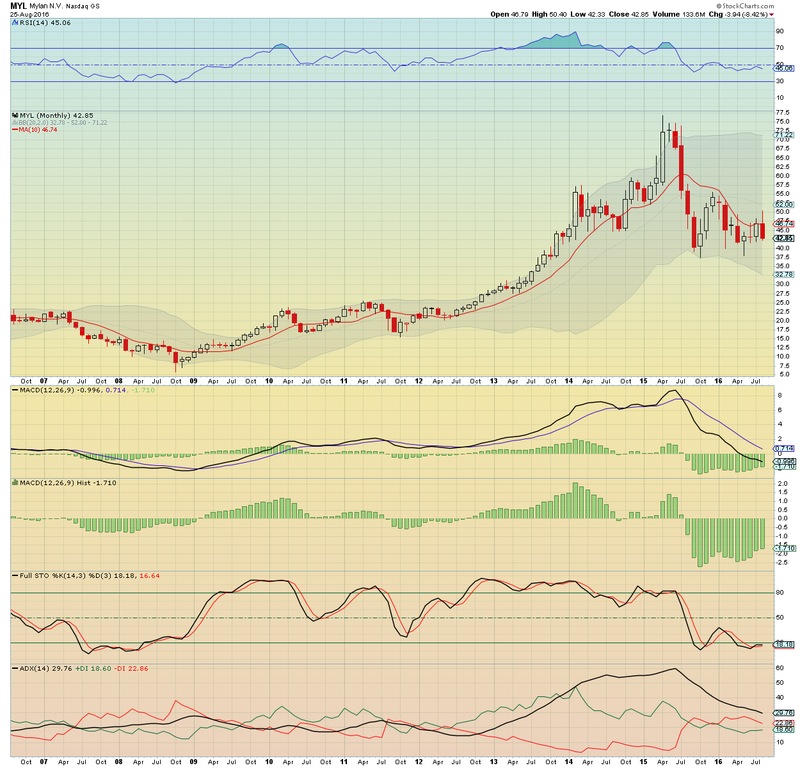 With Yellen tomorrow, a weekly close in the 2190s is within range, not least as the cyclical setup favours the bulls. 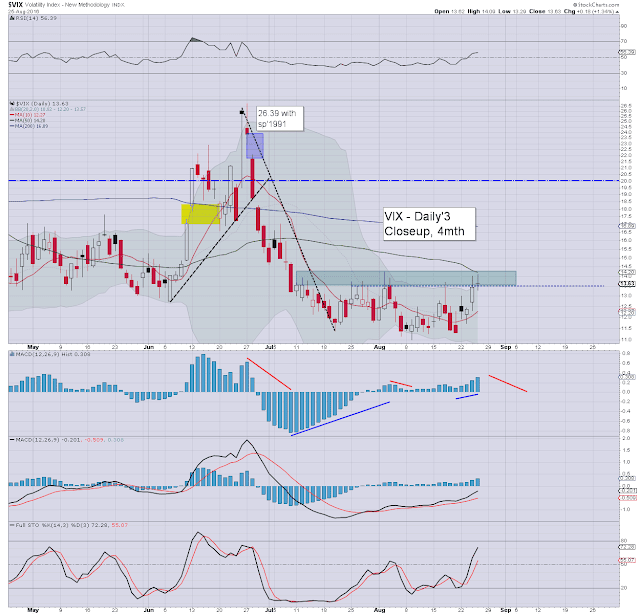 VIX broke into the 14s again, but anything higher looks very difficult. The key 20 threshold still looks at least another month away. I'm pretty adverse to even mentioning it, but hell.... after watching yet another TV segment on it, I want to throw in my 2-pence (not cents). We've never had an unrestrained market economy in modern times. Yet... things are unquestionably as worse as they've ever been, especially within the US medical sector. Maris noted that after speaking to a company that manufactures medical products, the real cost of the Epipen is probably no more than $3. Three dollars. Just dwell on that for a bit. 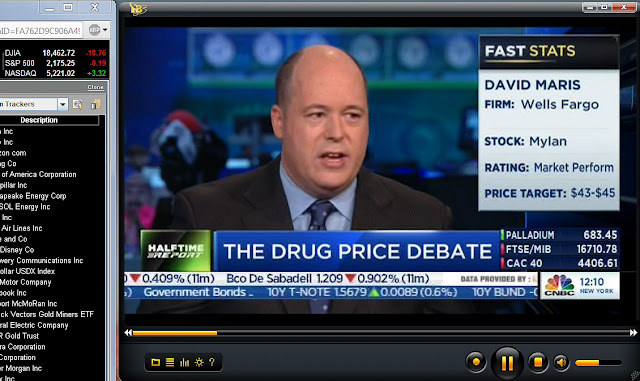 Yet.. the mainstream, and no doubt those in the US congress will keep the focus on whether the price should be pushed back from the low $600s to around $300. Those hoping for anything significant to change about this should drop any such hope. -There will be no permitted competition, not least from the EU or Asia. -There will continue to be lobbying and indirect bribes to members of the US government to keep all manner of products in a monopolistic state. 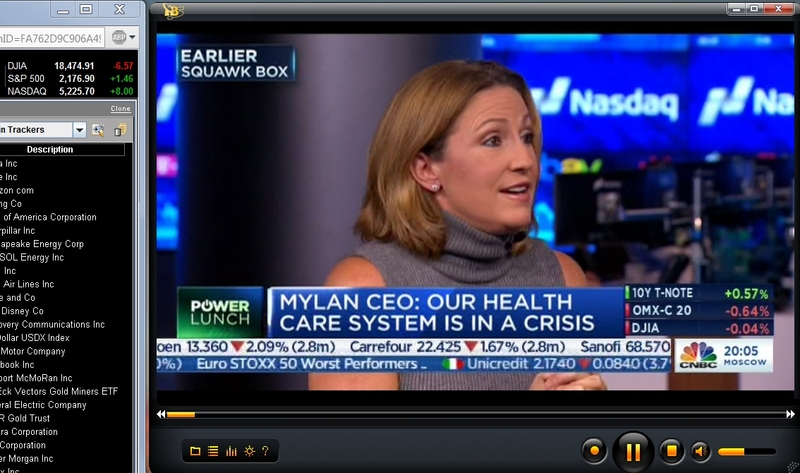 The CEO of Mylan (MLY) - Ms Heather Bresch, can spout 'its not my fault' all she wants on clown finance TV, and for the shareholders... she is truly outstanding. Its a real sight to behold, as a corporate leader swiftly deflects the blame onto others, and merely smiles, knowing nothing of any significance will be changed. Ironically, the only thing that the near 100% command economy we live in doesn't regulate, are salary caps. What does someone earning $18.9 million a year spend it on anyway? How about 31,500 Epipens? 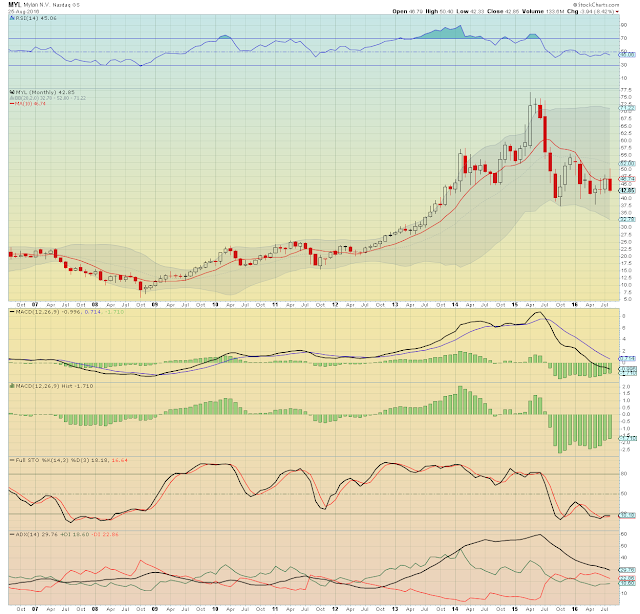 Even with the bio-tech implosion last year, MYL is still double the level since the last big market floor in Oct' 2011. Trailing PE is 27, and the forward is just 7. Yet, the stock is morally untouchable, although I'd agree you could say the same about a great many others. yours... no fan of needles... or morally contemptible bio-tech CEOs.